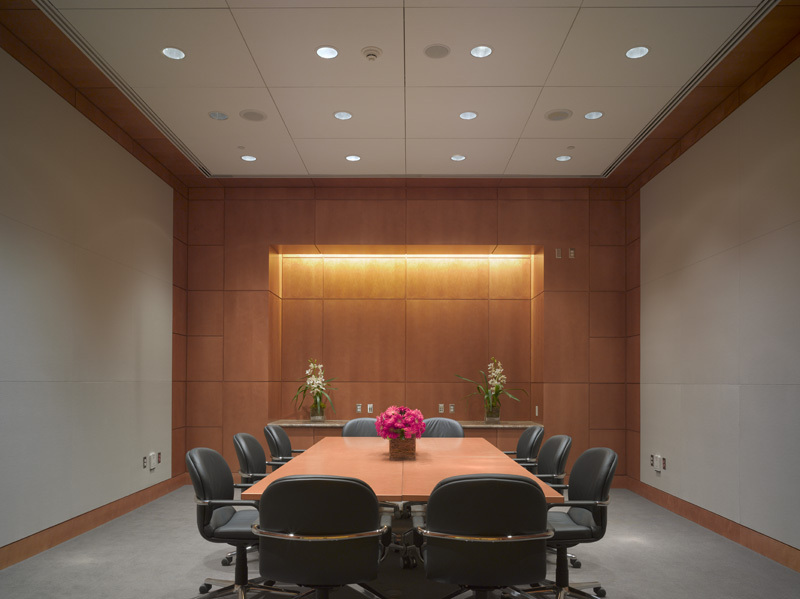 As a member of the Pei Partnership Architects design team, Pickett Design Associates was instrumental in the design and development of the interiors for the public areas. Our scope of work included coordination, design development and construction documents for the 50,000 s.f. ground floor public space, including gift shop, terraces, open waiting areas, meditation room, conference rooms, interventional waiting room, boardroom and executive offices. Our team was also responsible for all public area furniture selections, documentation and coordination. Classic, contemporary and durable materials, such as Emperador marble and poured terrazzo flooring, complement the strong architectural features of this 1.1 million s.f. nationally recognized medical facility.